Blakely the Australian shepherd is answering the call of dad duty once again at the Cincinnati Zoo. 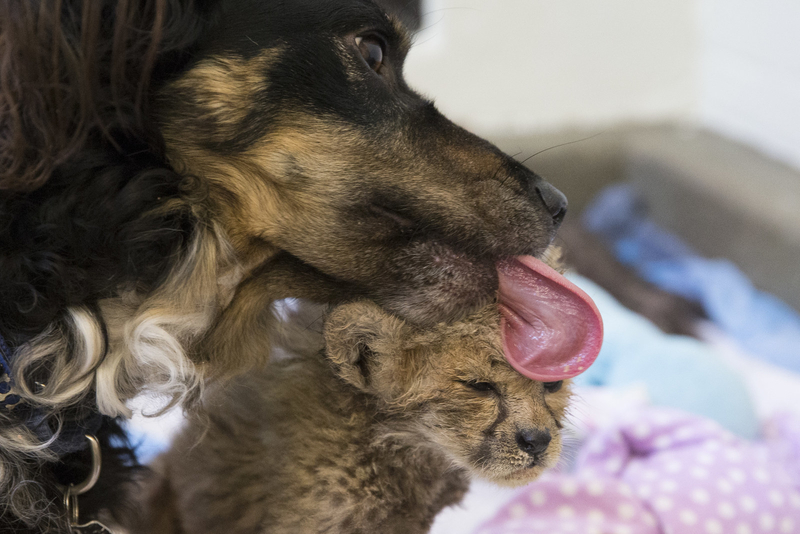 Blakely the Australian shepherd has been called back into dad duty at the Cincinnati Zoo. He is caring for three rare Malayan tiger cubs who were ignored by their mother after their birth. 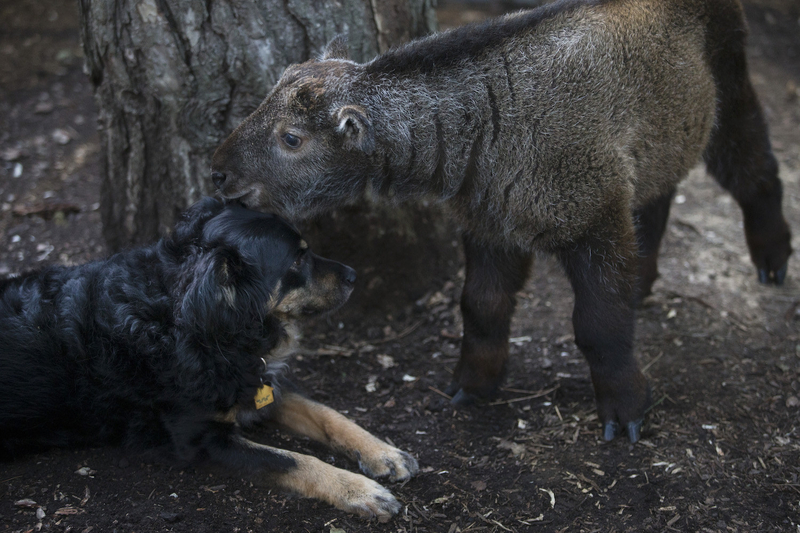 This isn't the first time Blakely, described as a 6-year-old "super dog," has been called into action for orphaned babies at the zoo, having filled the parental void for cheetahs, an ocelot, a takin, wallabies, skunks, bat-eared foxes, and even a warthog. Now, Blakely has been called upon once again for the tiger cubs, all of them female, the zoo announced Friday. Of course, Blakely is more than just a ~cool dad~. He's also there to teach the young cubs etiquette and the difference between a play bite and one that means "watch out." "Just a little time with him at this early age will help them learn behaviors that will come in handy when they meet tigers at other zoos in the future," Dawn Strasser, head of Cincinnati Zoo’s nursery staff, said in a statement.